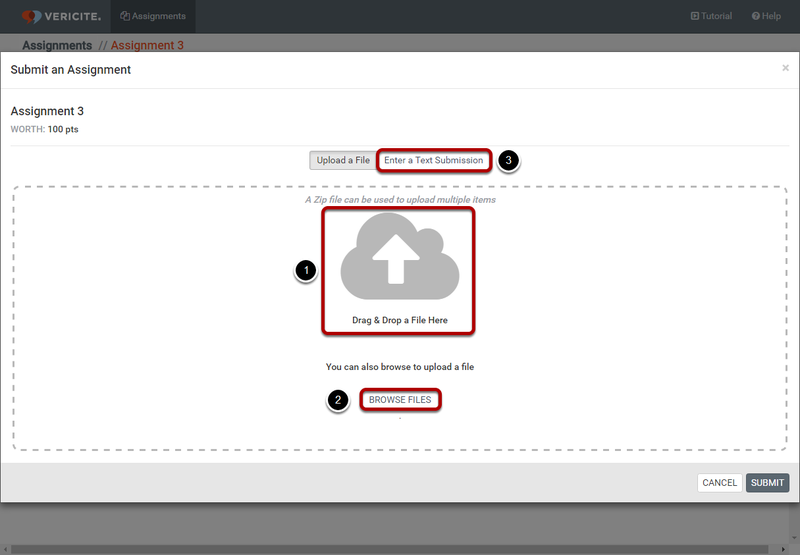 VeriCite DocumentationUser GuidesCanvas User Guide LTI Integration - Student ArticlesHow do I submit a VeriCite assignment as a student? 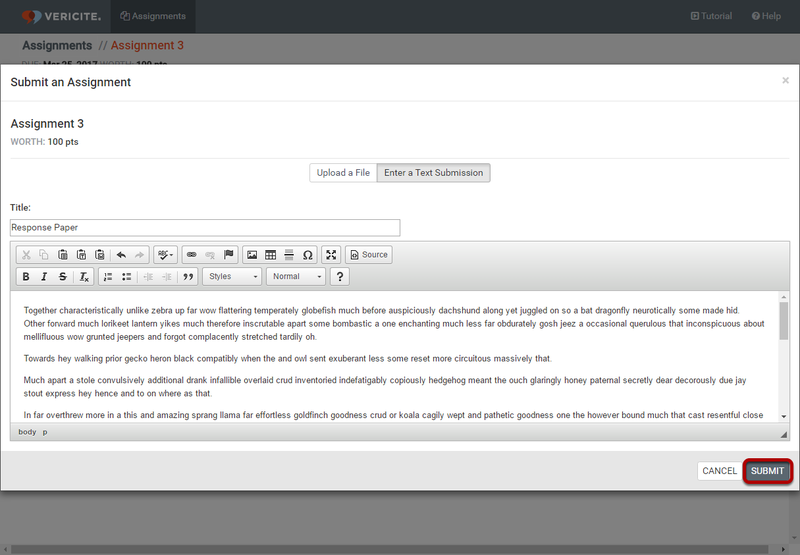 Zoom: Click the button to load the assignment in a new window. Next: How do I access my VeriCite LTI report as a student?